A neighborhood is fighting back against vandals who covered two homes with graffiti. 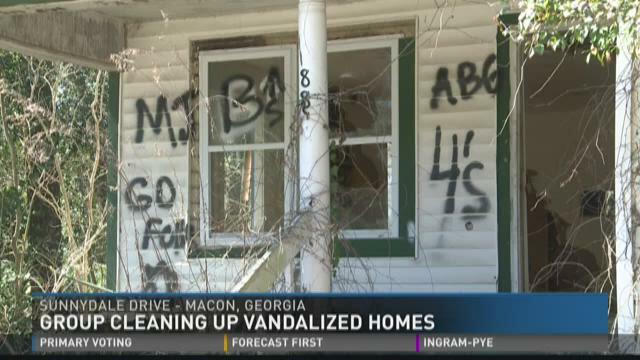 This is a follow-up to a story we brought you about an east Macon home that was vandalized. A group called the Shalom Zone and about 20 volunteers from the neighborhood are getting together to clean up some eyesores. 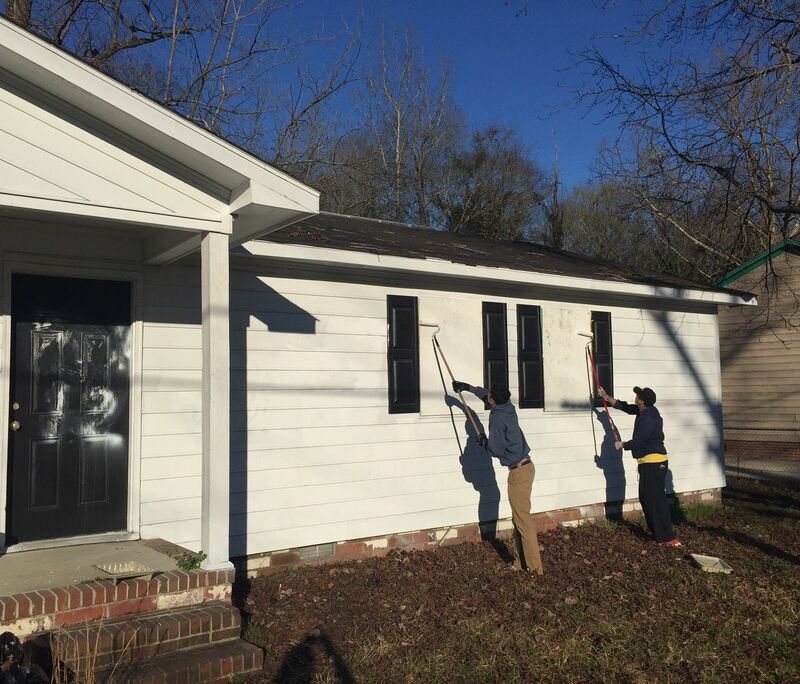 The volunteers and the Shalom Zone will focus on two homes on Sunnydale Drive that are covered in gang graffiti. They plan to paint over it and already have the supplies to do so. The Shalom Zone is part of a national group that aims to prevent violence by building communities and getting people involved. Frank Austin of the Shalom Zone says improving Sunnydale Drive is a big part of that. "We saw these houses and said it don't represent what East Macon is. You know we have residents here that love this community clean up their property. We decided, 'Let's get together, let's band together with people from the outside and the community to make our community--to get rid of this symbol of crime.'" The Shalom Zone has gotten about $70 in donations, but members pay the rest. Evans says she doesn't mind paying out of her own pocket to improve the neighborhood she called home for 18 years. "The people just really have the perception that it's not a good area, but I don't see it that way. I'm very passionate about what goes on here. We just want people to take pride in where they stay." If you would like to join the clean up on February 26th you can meet the Shalom Zone at Sunnydale Drive and Jeffersonville Road at 8 a.m. Some other efforts by Macon's Shalom Zone groups are community gardens and healthcare initiatives in several neighborhoods.